The Output Transformation stage is available on Resolume Arena only! The Output Transformation stage is where all the magic happens. You use it to align your output to projection mapping structures or shuffle your pixels for output to a LED processor. The same screens and slices you've configured on the Input Selection stage are available on the Output Transformation stage. Just like on the Input Selection stage, on the Output Transformation stage you can change the size and position of your slices. This is done in the Transform tab. In this tab, you change the position and scale of your entire slice. The difference is that now you actually move the pixels around, as opposed to choosing a different set of pixels to use as input. This way, you can for instance take the bottom left quarter of your composition, and position it in the top left of your output. Additionally, on the Output Transformation stage you can apply screen warping, which means you can adjust the geometry on the final output. 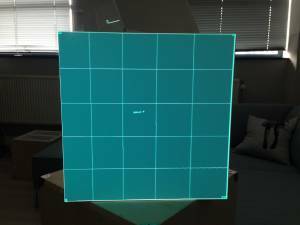 This is useful for projection mapping the output to an irregularly shaped surface, or when aligning multiple projectors for a spanned output. This warping is done in the Edit Points tab. In this tab, you can adjust the individual points that make up your slice. There are several ways to warp. 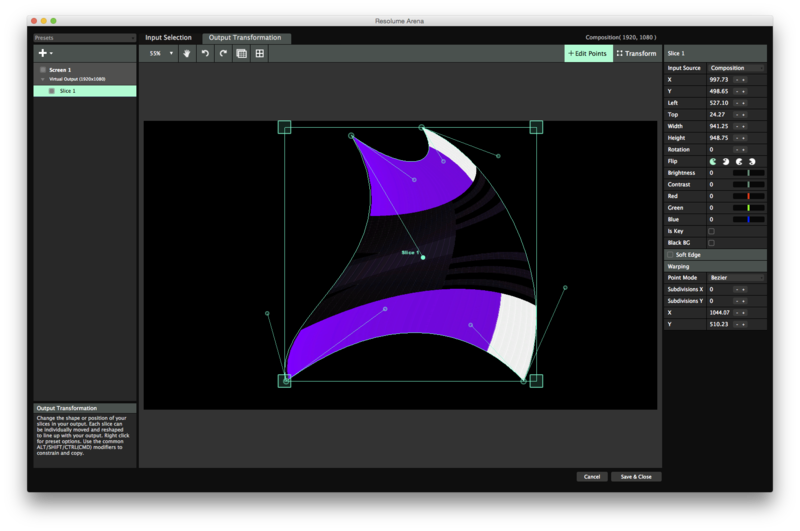 You apply perspective warping by changing the four large corner points of your slice. Perspective warping keeps the perspective of your output correct. 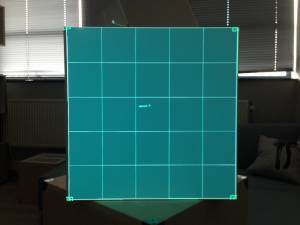 For instance, when projecting at an angle, the light hitting the furthest point of your surface will disperse further than the light hitting the closest point. This means that your content will get more and more stretched the further along your object it is. 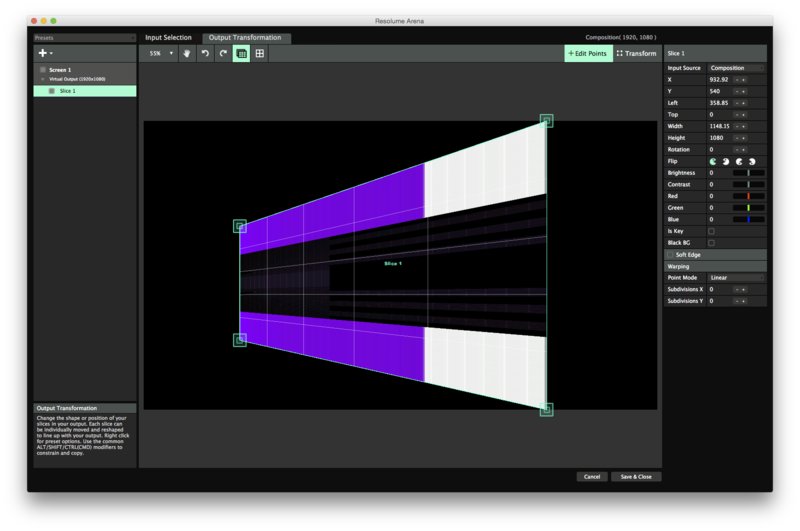 Using perspective warping, Resolume adjusts for this and keeps the scale of your content correct along the length of your object. Linear warping (left image) vs perspective warping (right image) when projecting on a cube at a 45 degree angle. Notice how the grid squares are evenly spaced on the right image, but stretched on the left. For most simple cube mapping work, perspective warping is the mode you want. 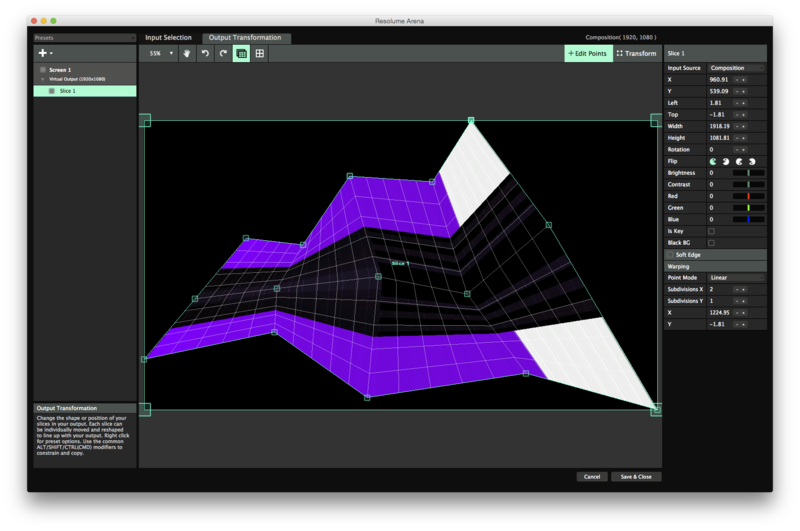 Perspective warping is available on regular slices only. Poly slices cannot be perspective warped. Because of science. Linear warping is applied by the four smaller corner points inside the perspective warper points. These points work the same way as their bigger brothers, except they do not adjust for perspective. They have the added advantage that you can add more points horizontally and vertically for more complex warping. Also you can switch the mode from Linear to Bezier. Each point will then show two additional bezier handles that you can use to make the warping curve like a Coca-Cola bottle. Tip! Why choose when you can have both? Use the big corner points for perspective warping and their baby brothers for additional bezier warping. This way you can have nice smooth curved mappings while maintaining correct perspective. Linear warping is also available on poly slices. Poly slices are super awesome because they can change the position of each point of the mesh. 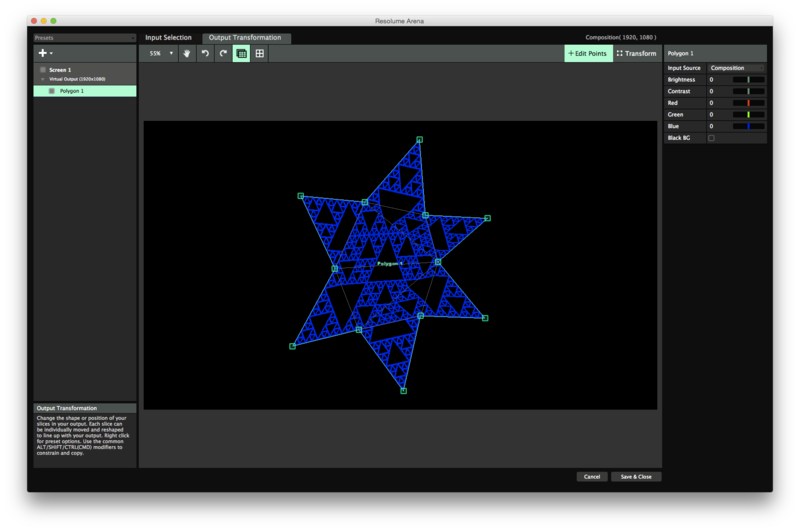 Bezier warping is not available on poly slices. Because of science. In the Output Transformation stage, you can also add masks. 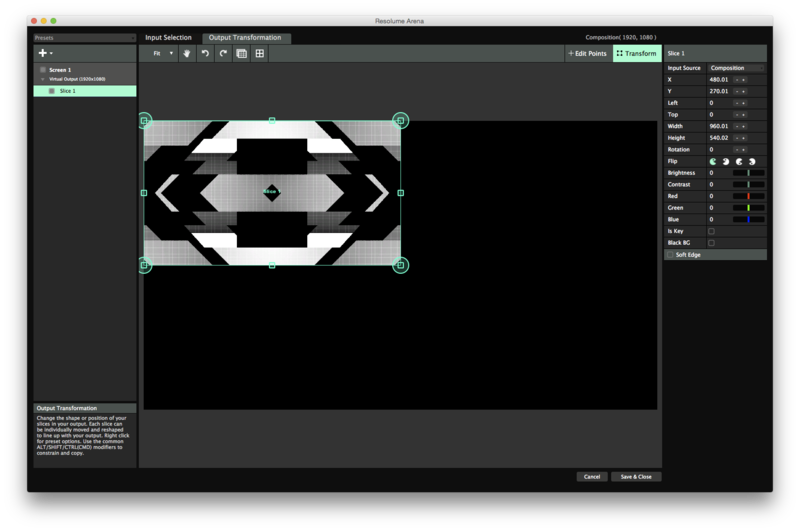 Masks allow you to hide parts of the output, without distorting it. You can add as many masks as needed. A mask will cut off all pixels that are outside of it. You can invert a mask, effectively creating a hole. Tip! Nerd alert! The way we are most used to masking from for instance After Effects is actually wrong. In After Effects, masks are actually crops, since they cut off the outside of the image. That's why by default, a mask in Resolume is inverted. This way you get the behaviour you're used to, and we don't have to obsess over the fact that it's actually technically incorrect terminology. Because that's the kind of stuff that keeps us up at night. Masks and crops can have an arbitrary amount of points. 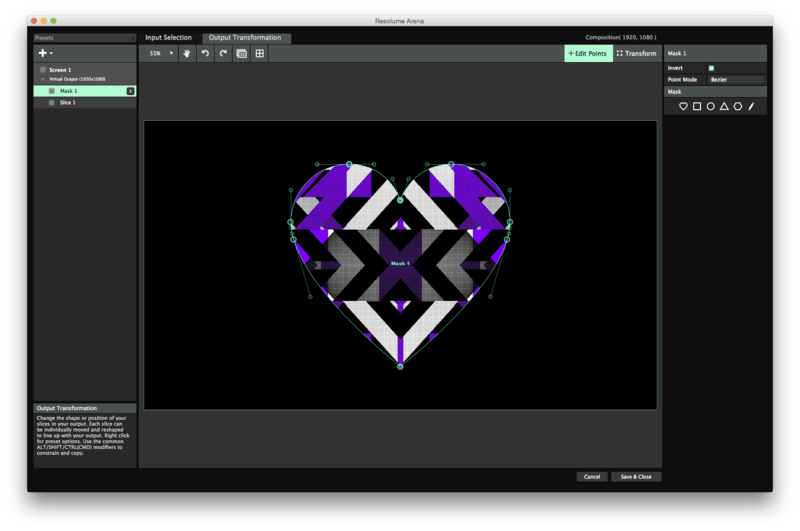 By default you can choose from a number of commonly used preset shapes, but you can make them into stars, the bat-signal, a tri-force or in the shape of that weird stain on the wall in your attic. Double click the outline to add a point at that location, double click a point to remove it. You can make round corners by switching the Point Mode to Bezier. Note that masks are applied to all the slices underneath it. On the Output Transformation side, slices have some additional options. Using the Pacman icons, you can flip a slice's output horizontally, vertically or both. This way you can very easily make a mirrored setup by duplicating a slice, using the right click menu to mirror it across the x-axis and then flipping it using the Pacman icon. Each slice can have its brightness, contrast and red, green and blue channels adjusted. You can also multiselect slices and adjust several of them at the same time. This way you can adjust for differences between projectors when using a Matrox TripleHead2Go, or to adjust the brightness levels for different LED panels connected on the same processor. Toggling Is Key will cause this slice to replace the alpha channel with luminance. It will send out white wherever there are visible pixels and black where there is transparency. This is useful to send an alpha channel on a separate output for overlaying graphics using a broadcast mixer. Black BG is not a racially themed 70s cover band. Toggling it on will render your slice with a black background, regardless of whether content is playing in it. This is useful when you have a slice partially covering another slice, and you don't want to ever reveal the parts of the slice underneath.